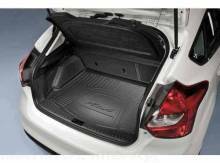 Cargo Area Protector, Black, Hatchback With Subwoofer. 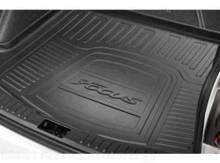 * Durable, lightweight polyethylene tray is molded to the contours of your vehicle. * Raised lip helps contain spills. * Available with Focus logo in black only. 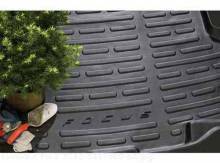 Installs and removes easily without tools. Not applicable for models with full-size spare tires.